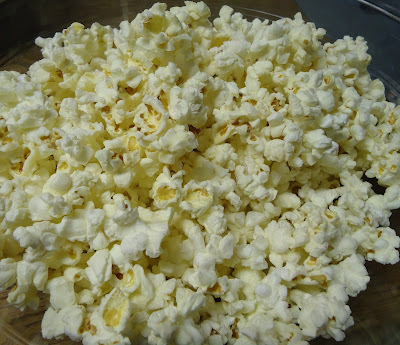 Popcorn is always my snack of choice. I love it’s versatility - popcorn can be salty or sugary or spicy, and it’s a whole grain, so that makes it healthy, right? (Right.) For me popcorn is an almost every-day food: I microwave bags of it mid-afternoon at work and/or snack on it in the comfort of my living room back at home. But when I want something special -- something more than my usual air-popped goodness -- I venture into the sinful decadence of Caramel Corn. It's crunchy. It's sweet. 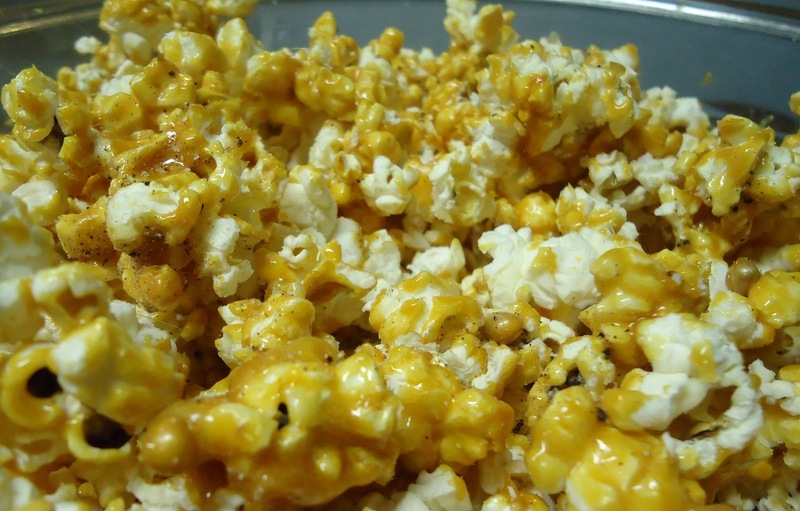 And the perfect caramel corn isn't sticky; it's light and airy and coated with a crispy caramel shell. Caramel corn is so delicious that I usually avoid it in the interest of fitting into my pants…but sometimes, on occasion, I indulge and it is awesome. 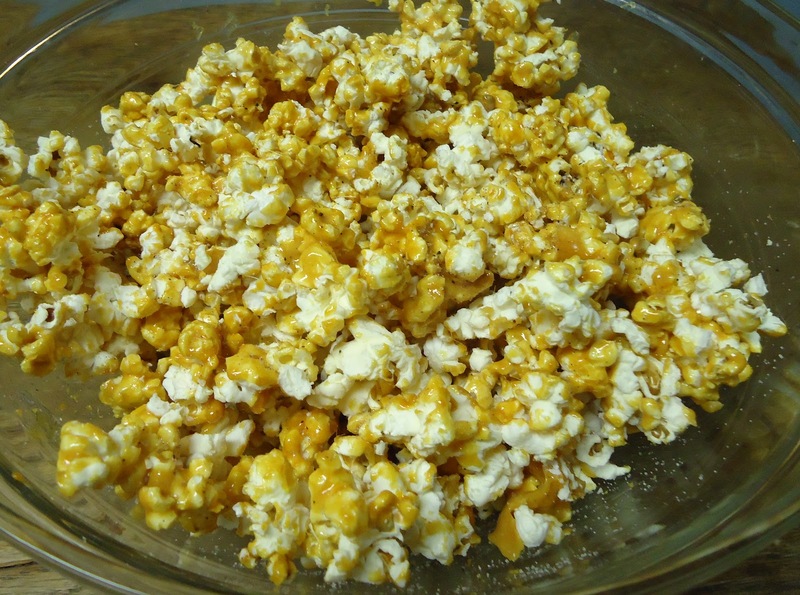 This is actually the first time I’ve made my own caramel corn, and let me tell you, it’ll be a recurring experience. This recipe is super easy and turned out so well! It’s not soggy at all, required minimal ingredients, and took about 15 minutes total. The variations here are limitless – I went for plain caramel corn, but then sprinkled it with this Sugar, Chocolate, and Coffee Bean Grinder. You could add any kind of nuts, chocolate chips, M&Ms, etc. Feel free to get creative! Lightly butter the sides of a large bowl (I just took a stick of butter and rubbed it around the bowl) and add cooled popcorn into the bowl. In a medium saucepan, combine the sugar, butter, salt and water. Cook over high heat, without stirring, until it becomes a light light brown color and you smell caramel, about 10 minutes (cooking times may vary, so watch for the color). Remove from the heat and carefully whisk in the baking soda. It will cause the caramel to bubble up and look like it’s about to explode (it won’t). 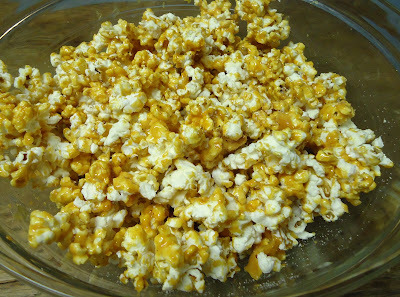 As soon as you mix in the baking soda, pour the caramel mixture over the popcorn, and quickly use two spatulas to toss the caramel and popcorn together, until all the popcorn is covered. 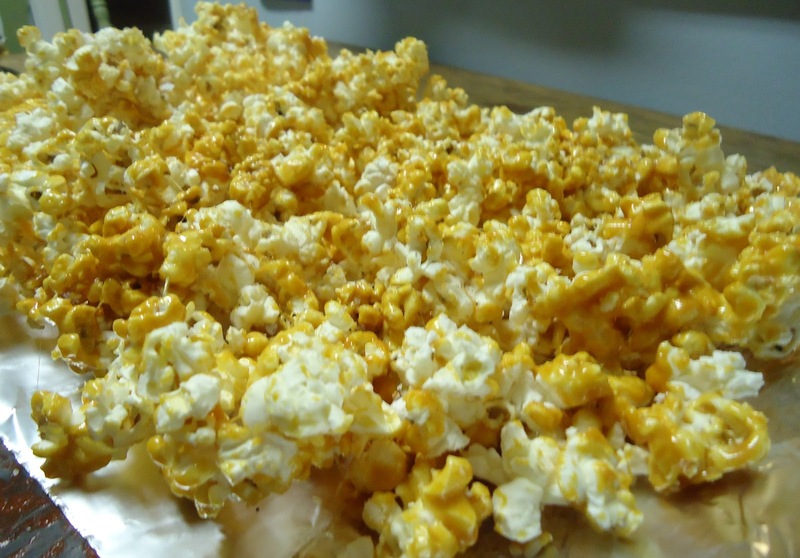 Pour out the hot popcorn onto some foil or parchment paper and using the spatula, separate the chunks into smaller pieces. Cool to room temperature.